Clonmel Athletic Club is once again promoting the Morrison BMW Cahir 6k Inter Firm Road Race Series. The Club would like to thank Morrison Motors and especially Gary Morrison for their very generous sponsorship of this popular series of races for the 8th year. This year we have to curtail the number of races to just 4 races due to Health and Safety as Summer time doesn’t happen until 30th March. This year’s dates are Wednesday 3rd, 10th, 17th and 24th April with the race starting each night at 7pm SHARP. There won’t be any PRACTISE RUN this year, the Route is the same as last year. The Entry fee is 20 Euros per athlete for the 4-race series. The route is as follows: The Race starts close to the Lidl carpark on the Waterford Road, the athletes run all the way down to Ferryhouse Roundabout, turning right there and right again after Sir Thomas’s Bridge and back to the Loreto Convent entrance via Kilganey and the Coleville Road. We would ask all athletes to refrain from blocking up the entrance to LIDL and keep the main road free to traffic prior to each race. Colaiste Cheitinn, the Mall is the race headquarters for each race and numbers can be collected there from 5.45 pm on all the nights. Now is the time to be organising your team of five athletes with the best three performances (athletes who are closest to their Predictions) to count each night. Teams can be a combination of females and males, work colleagues and friends. The three races on April 3rd, 10th and 17th will see athletes predict their time each night when they enter and collect their number. They must then run the course without a watch or IPods. If an athlete is caught wearing a watch or IPod, their team will be penalised. This sort of competition allows every athlete to set their own pace and regardless of where they finish in the race, they can all help their team to win the competition. This is an event where you the athlete set the target, you decide every night what your finishing time is and then you must run as close to that time to help your team. For instance, you could predict 30 mins for the 6k and then run the race in 30 mins 1 second and you score one point for your team. Then you have another athlete on your team who predicts his finishing time as 21 mins and runs the race in 21 mins 31 secs, he scores 31 points for the team. The three athletes that score the lowest points will count on your team, it is not based on your finishing position it is based on your time and what you predicted. 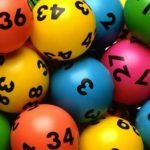 The Lucky Dip will take place on Wednesday 24th April. The Presentation of Prizes will take place in Mulcahy’s; Gladstone Street on Wednesday 24th April at 9.30pm where refreshments and music will be provided, this was a brilliant night last year. The closing date for entries is Friday 29th march and the entries can be emailed to [email protected]. For further details please contact Niall O Sullivan at 086 1660888.